Kan-Go-Roo Playgrounds is more than just commercial playground equipment. 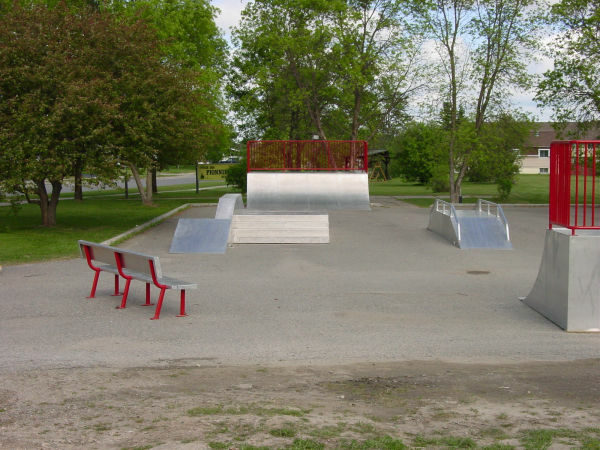 We carry a wide spectrum of outdoor play equipment; including perminment and mobile ice rink systems; skateboard park components and systems, and newly added dog parks. Kan-Go-Roo Playgrounds makes it convient to shop in one trusted place. Kan-Rink™ board systems have been engineered to perform outdoors in extreme weather conditions: from our hot summer days to our coldest winter months. 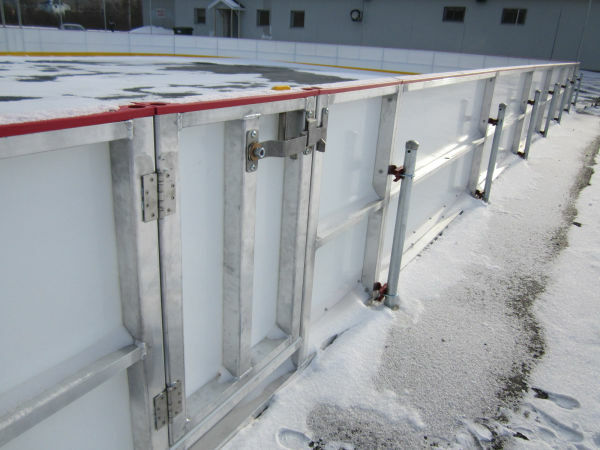 Using only professional grade components and our outdoor recreational equipment expertise, we have put Kan-Rink™ products through years of extensive testing under the harshest Canadian conditions. The innovative modular components reduce setup and dismantle time and only require to people to install. Our various anchoring options make sure everything stays in place on virtually any type of surface. Choose from our standard kits or add modular components to meet your size and performance needs. We also offer a custom design program to accommodate specific installations. Kan-Go-Roo Playgrounds has designed, manufactured and perfected a series of skateboard ramps and accessories that will endure the harsh Canadian climate. RedRailed™ skateboard ramps and accessories have been designed to allow for a safe smooth riding surface and are virtually maintence free. Our frames are made from aluminum angles and square tubing, welded to the frame from underneath. These measures ensure for excellent corrosion resisitance and a durable frame which is lightweight when compared to steel or concrete. Our railings are manufactured from Allied playground quality steel that contains no heavy metal or lead. Finally, our ramps come preassembled when possible to make for an easy community install. 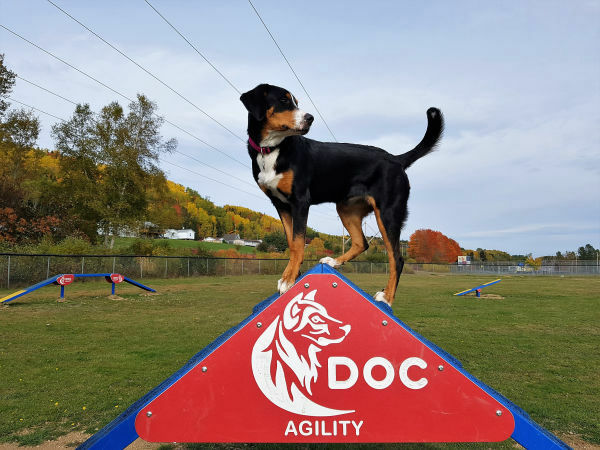 There are few things in life a dog loves more than running off-leash with his canine friends; DOC Agility™ dog parks have several benefits as far as you and your pet are concerened. It gives our furry friends an opportunity to be free off a leash, to be able to roam in a large area, and to socialize with other dogs and humans. Our dog parks offer adequate exercise for every size canine in a controlled environment under the supervision of their owners. Our goal is to continually seeks new ways to improve our parks by listening to dog trainers, shelter workers, pet lovers and dog owners. Kan-Go-Roo Playgrounds can help your community build a dream off-leash dog park that would make a lasting impact on all community memebers.